In January 2006 the St Francis Xavier College ‘Living Treasure’ Award was established in recognition of persons who have contributed significantly to the life and future of our College. Specifically, our Living Treasures are those women and men who have achieved much in the name of and on behalf of this school. The Award recognizes either the person or the legacy of that person. A significant contribution to the spirit and culture of St Francis Xavier College. An outstanding contribution to the development of the facilities of St Francis Xavier College. The advancement of the standing and reputation of St Francis Xavier College. A contribution to the excellence of the education of the students of St Francis Xavier College. An outstanding dedication or significant contribution to the extra-curricular life of St Francis Xavier College. Throughout the history of St Francis Xavier College, the name McKenna is synonymous with each stage of our development. The planning years, the early and mid-1970’s, the foundation period, the construction of facilities stage by stage, the searching for funds to pay for the quality education that was so desperately needed – throughout it all the figure of Mr Des McKenna stands tall. Des McKenna, together with his greatest supporter, his wife Carmel, were for many years, parishioners of St Michael’s, Berwick. Their eleven children, attended the Parish Primary School and later, some came to the secondary College which their parents had devoted enormous energy to building. The records from our early years clearly reflect the fact that Des McKenna played a crucial role in the planning, financing and often, the actual construction of the new Catholic College. When a new Catholic regional college was proposed for the western region of the Diocese of Sale, the Presentation Sisters were already well established in the Berwick and Pakenham parishes, teaching at both parish primary schools, as well as active in the parish of Maryknoll. In December 1977, Foundation Principal Mr Robert Schneider was informed that Sr Mary McCarthy had been appointed to the new College to oversee the evolution of a vibrant curriculum. Under Sr Mary’s guidance, the curriculum rapidly expanded to meet the needs of the growing community and addressed not only the basics in good educational learning, but also music and sports. In 1982, Sr. Mary assumed additional responsibilities for pastoral care of students. 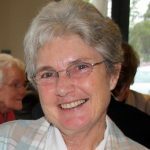 Sr Mary worked at St Francis Xavier College from 1978 until 1982 and is currently involved in education in Papua New Guinea. 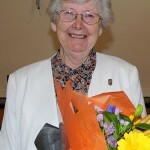 Sr Rosaleen had been an educational stalwart in the Diocese for many years prior to coming to St Francis Xavier College. 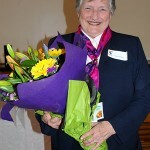 Since 1962 she had been involved in schools continuously and had resided in Pakenham since 1974. From 1974 until 1980 she had been principal of St Michael’s Primary School, Berwick and was to become the foundation Principal of Don Bosco Primary School. In 1986 she arrived at St Francis Xavier College. In her 8 years here, Sr Rosaleen held a myriad of roles – Registrar, Sick Bay Attendant and Pastoral Associate. However, she was of unequalled value and service as College Sacristan – tending to the new Chapel, preparing the Bread and Wine, flowers, music and liturgy. 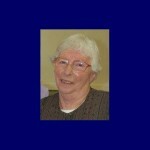 The sacramental life of many of our young people was greatly enhanced by the devotion and faithfulness of Sr Rosaleen. Countless students benefited from the kindness and dedication of this remarkably uncomplicated woman who simply saw a need and quietly went about remedying it. A member of the Brigidine Order, Sr Mary Jenkins arrived at St Francis Xavier College in 1989. Her role as Head of Middle School was to guide the students of Year 8 and 9 through the often turbulent early years of teenage life. Sr Mary’s firm but gentle manner was always underpinned by a commitment to justice. By 1990 she was Head of the Senior School (Year 10, 11 and 12). 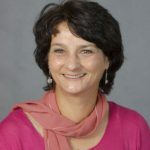 Within a few short years she became Deputy Principal and was overseeing the pastoral care of students, policy development, employment of staff and general organisation of the College. In 2000 Sr Mary became Pastoral Associate which allowed her to devote time, energy and expertise to her great love of caring for those in needy circumstance. She also prepared hundreds of our students for their Sacraments. Ill-health led Sr Mary to tender her resignation in April 2002, although she remained a diligent worker for the college, via St Michael’s Parish, Berwick. Gallagher House was named to acknowledge the role played by Father John Gallagher in the establishment of our College in 1978. 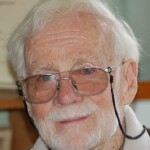 His work had begun at least four years before with the formation of steering committees and various meetings involving the parishes of Berwick, Cranbourne, Pakenham, Iona/ Maryknoll and Koo Wee Rup. Father Gallagher continued his active support of the College and spent many years on the Board of Management. In 1990 he was awarded a Papal Honour in recognition of his outstanding service to the Diocese of Sale when Fr John Gallagher became a Prelate of Honour and was given the title of Monsignor. Monsignor Gallagher was also parish priest of St Michael’s Berwick from 1972 – 1999 during a time of rapid population growth, which resulted in many major developments within the parish. 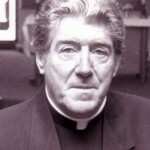 Monsignor Gallagher was a Canonical Administrator of the College from its inception in 1978 until his retirement in 1999. During this time he also undertook a vital role in liturgical life of the College and as a member of the Board of Management. 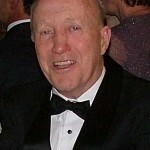 Carmel McKenna has been associated with St Francis Xavier College since the College’s inception in 1978. Carmel is the wife of Founding Father, Mr Des McKenna and the mother of 11 children – some of whom attended St Francis Xavier College. 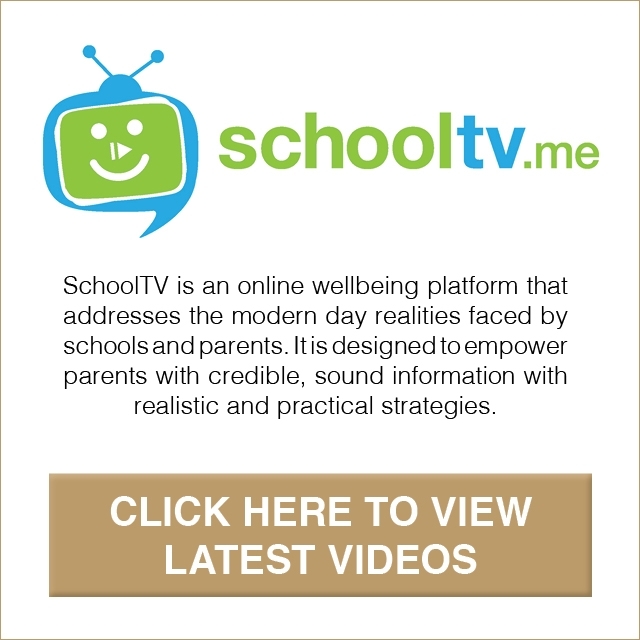 When Carmel and Des began educating their children it became apparent that there was a desperate need for a Catholic Secondary College in the Beaconsfield area. Des, along with the support of Carmel, began the investigations into the establishment of what is nowthe largest Catholic Secondary School in Australia. All of this hard work on Des’ part does not happen without the support of family members. Carmel has, over the years, been there for Des and encouraged and supported him through the establishment of the College and his period of Chairperson of the College Board. Carmel has always attended all functions with Des and been involved in many activities. Her enthusiasm and support for the College never diminishes. She is passionate about St Francis Xavier College and Catholic Education. Her sacrifices and contributions over this period of time in support of Des rightly deserves recognition. Carmel McKenna is a woman of wisdom and great faith and we at St Francis Xavier College are privileged to have her within our College community. 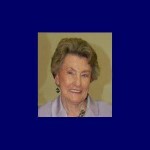 Mrs Maureen McDonagh served on the College Board of Management as Secretary from 1984 until 1990. For the period 1991 to 1996 Maureen was Chairperson of the Board. One of the highlights of Maureen’s time was, in association with others, the establishment of the Cranbourne Campus of St Francis Xavier in 1987 (which was to go on to become a school in its own right in 1994 and is today known as St Peter’s College). Maureen was a member of the Interim Board of Management for St Peter’s College which subsequently led to the appointment of the inaugural principal Mr Terry Feely. Mrs McDonagh then also served on the new Board of Management for St Peter’s College in their foundation period. Maureen fondly remembers her involvement with St Francis Xavier as a family affair: her husband Joseph was actively involved in the building of the College chapel and their five children were students beginning with the second intake of students in 1979. Before her membership on the College Board, Maureen was very involved with the Parents & Friends Association which by necessity in those early days was active in performing many tasks such as building paths, shelters, establishing gardens, as well as fundraising. In 1990 Aidan became the College’s third principal in its 12 year history. During the 10 years of Aidan’s leadership, the College began its growth impetus and subsequent on-going building programme. In 1990 the official opening of the College Chapel took place; in 1991, the VCE was introduced; our first Presentation Night was held at Robert Blackwood Hall; and there was only one Year 11 Debutante Ball! In 1994 our Cranbourne Campus which had been established in 1987, grew to become a College in its own right and opened as St Peter’s College in 1994. The College’s first large Multi-Purpose Hall was constructed and opened at Beaconsfield in 1995. In this same year, under Aidan’s direction, a major change was introduced to the structure of the College’s Student Pastoral Care Program with the introduction of the House System and its Vertical Care Group structure. This continues today to be a key element of our College community environment. Other major building works that took place under Aidan’s leadership included: a new Library Resource Centre, Drama Music Complex, Materials Technology Centre, the creation of a new staff room as well as additional classrooms at Beaconsfield. The planning of a new Junior Campus due to College’s increasing enrolments meant many long hours, which ultimately lead to the establishment of our Junior Campus in Berwick in 2003. 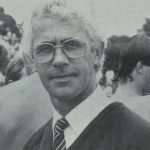 Robert Schneider was appointed as the Inaugural Principal of St Francis Xavier College and served the College and Community for the period 1978 to 1982 inclusive. The vision of Robert and the first staff laid the foundations which we continue to build upon. Those who knew him tell of his exuberance, his youthful energy, his love of working in schools and of bringing the best out of the students in his care. Robert Schneider is described by Founding Father, Des McKenna as a tireless force for the good of young people. He knew how they thought and acted, he knew how they best learnt and he knew how to employ good men & women to work with these kids. Along with Brother Guy Goulet, Brother Charles Marquis, Brother Vincent Riener and Sister Mary McCarthy, Robert opened the doors to the College in 1978 with 72 students. Robert worked extensively with Mr Des O’Connell in the creation of our College Crest which now serves to readily identify St Francis Xavier College in the community. We would like to acknowledge this amazing man’s foresight and commitment to ensuring that the life and community we now share at St Francis Xavier College was to flourish in the future. 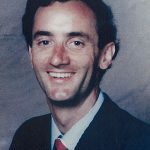 Trevor Wilson was Business Manager at St Francis Xavier College from 1983 to late 2000 and worked tirelessly to ensure that the College was in a good financial position to move forward to a multi campus College. This included the building of the Cranbourne Campus which is now St Peter’s College. Mr Wilson possessed the financial expertise to obtain resources with the minimum of funds. He saw the need to make funds available to develop the computerisation of the College and established a computer network. As the College grew and the administration facilities needed to be expanded, this meant reorganising buildings and relocating the Library in the large portable building that was to become White House. A trained teacher, Mr Wilson made a point of being in the school grounds at recess and lunchtime and knew the majority of the students by first name. As the demand for places at the College grew, Mr Wilson negotiated and worked with the Berwick Parish to enable the land owned by the Berwick Parish on O’Shea Road, Berwick, to be re-zoned and sold so that future sub-division of the area could go ahead. St Francis Xavier College’s Berwick Campus is now located on part of this sub- division. 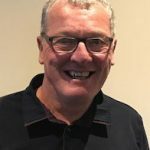 As Director of Catholic Education in the Diocese of Sale, Terry Synan was closely involved in the planning, establishment and development of St Francis Xavier College. His assistance was invaluable in the initial investigative committees which were set up in the region in the early 1970’s to work together to provide Catholic Secondary education in the eastern end of the Diocese of Sale. Mr Synan was a member of the Interim Board of Management which was set up to meet this goal. This group undertook the enormous tasks of purchasing a school site, the planning of buildings and curriculum, the appointment of the teaching staff and estimating and organising the necessary finance. Mr Synan was also President of the Victorian Catholic Schools Association before his retirement in 1996. Vicki Clark taught at the College for over 20 years, and in that time gave an enormous amount of her time to the life of the College in many areas. As well as dedication to her teaching area of Art/Studio Arts, Vicki was always involved in many College Music and Drama productions, camps and retreats and gave many hours to the College outside of her normal teaching time. Vicki also acted as a student counsellor and was coordinator of a Pastoral care program for Year 7 to 9 students for many years, organising student Wellbeing days and talent competitions.